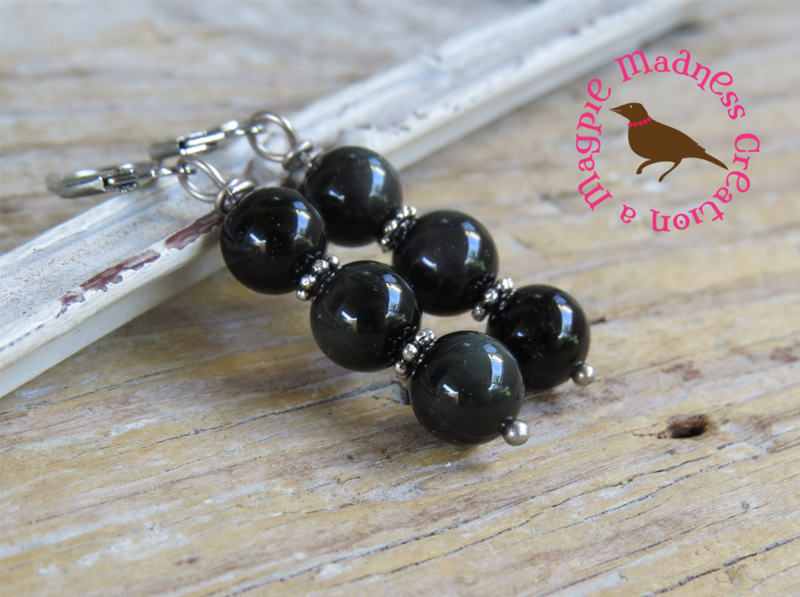 These are lovely shimmery AAA grade Rainbow Obsidian beads which glimmer when they catch the light. 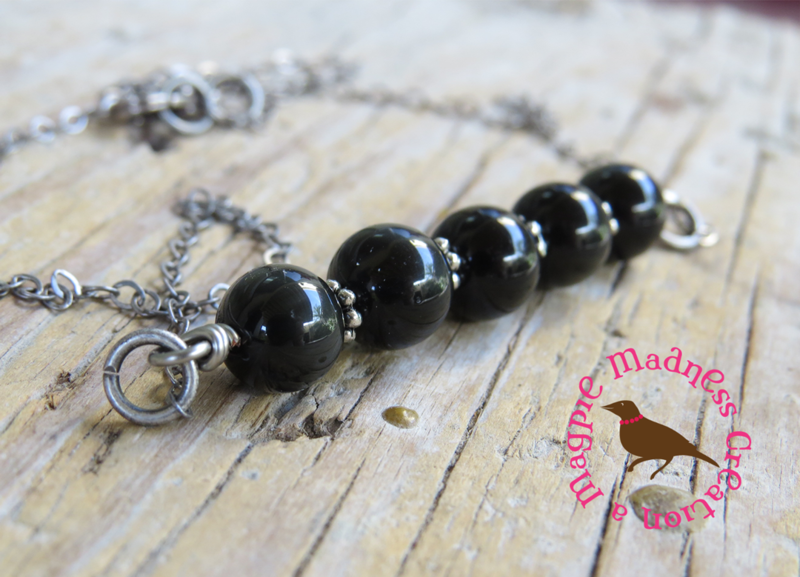 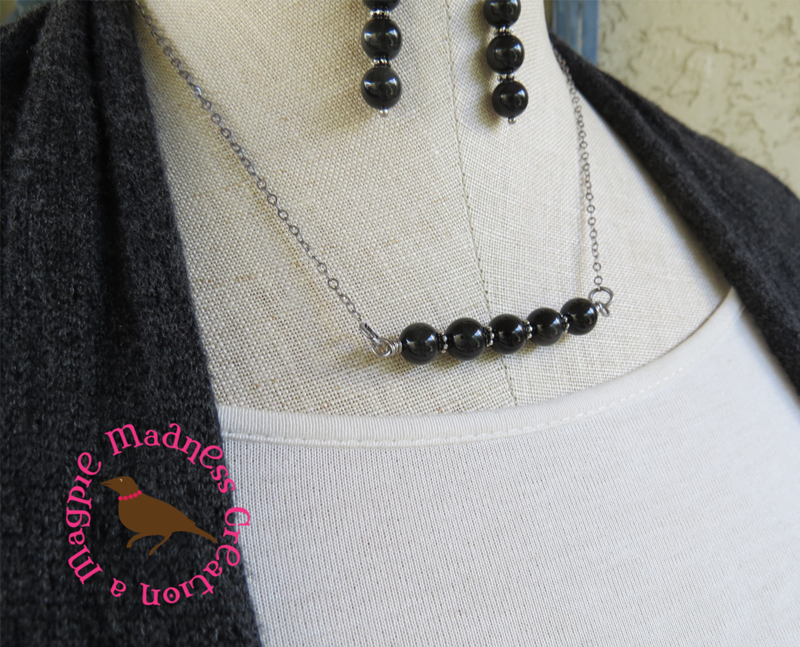 I simply strung 5 shimmery black beads on a sturdy antiqued silver wire to a light weight (strong) antiqued silver chain. When positioned to catch the light you'll see the notorious rainbow shimmer which makes this gemstone so famous!!! Necklace shown measures 18 inches.